Boyds Mills Press, 9781629798141, 256pp. In this unique, fast-paced twist on the time-travel genre and the first book in a trilogy, sixteen-year-old Alex is a Spinner--one of a rare few who can rewind time to review past events. Alex's society uses Spinners to help solve crimes, but their powers come with a price: no Spinner ever lives past the age of twenty. This title is perfect for fans of author Jennifer Lynn Barnes (The Naturals; Killer Instinct) and Vivian Vande Velde (23 Minutes). 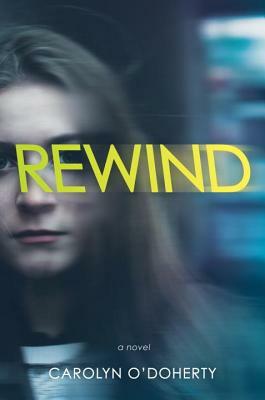 Sixteen-year-old Alex is a Spinner--she has the ability to rewind time to review past events. Hated and feared because of their ability to find the truth, the small population of Spinners is restricted to Centers--compounds created to house and protect them. Alex's society uses the Spinners' skills to solve major crimes, but messing with time comes with consequences: no Spinner lives past the age of twenty. At sixteen, Alex is in her prime--until time sickness strikes early. When she is offered an experimental treatment, Alex sees a future for herself for the first time. But the promising medication offers more than just a cure--it also brings with it dire consequences. Carolyn O'Doherty received her MFA from Stonecoast at the University of Southern Maine. She lives in Portland, Oregon, with her husband and two teenage sons. This is her debut novel.